From the studio that brought us superhero films such Iron Man, Captain America and The Avengers, comes a brand new breed of superheroes. 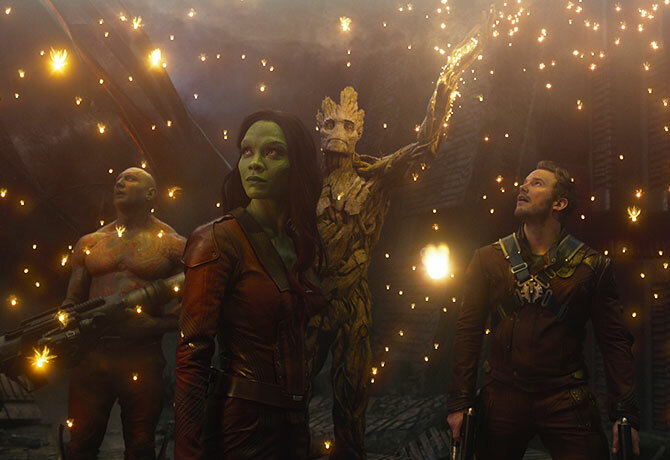 Marvel brings us more lovable yet quirky superheroes in Guardians of the Galaxy. Perhaps not as dashing as Captain America, as ripped as the Hulk, or as classy as Tony Stark (Iron Man), the Guardians are a bunch of interstellar outlaws from different backgrounds who come together as the galaxy’s final salvation. Are we doomed? 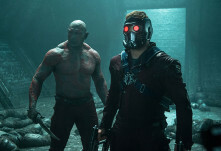 Peter Quill (played by Chris Pratt of The Lego Movie and Her) the “legendary outlaw” finds himself in a world of trouble when he steals a mysterious orb coveted by the galactically-notorious villain, Ronan the Accuser. To avoid this danger, Quill is forced into an alliance with a bunch of space misfits who, in their last ditch attempt to save the galaxy from the powers of the orb, earn their name as the Guardians of the Galaxy. This sets the scene for a galactic battle that will possibly save the universe. Contrary to most of what we’ve seen in previous Marvel superhero films, where the heroes are clean, classy or distinguished, the Guardians of the Galaxy comprise a motley crew of outlaws, outcasts and, yes, even a raccoon. 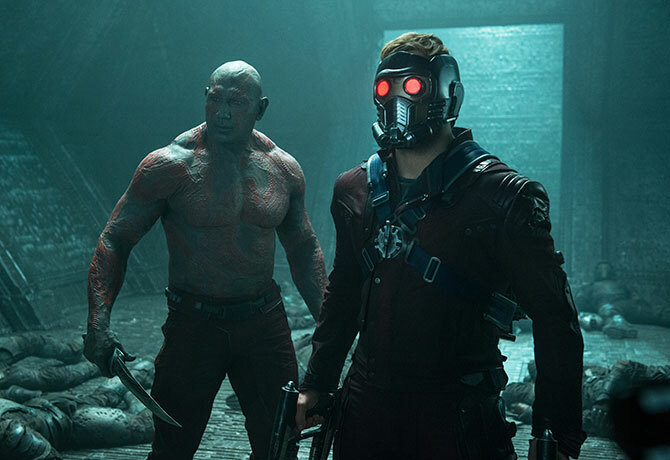 Led by the self-proclaimed “Star Lord”, Quill, the team consists of the imposing Drax the Destroyer (former WWE wrestler Dave Bautista), the deadly alien assassin Gamora (Zoe Saldana of Avatar and Star Trek), the gun-toting raccoon, Rocket (voiced by none other than Bradley Cooper), and his “muscle”, Groot (voiced by action star Vin Diesel). This bunch of strange and unlikely superheroes band together in the universe’s darkest moment to put a stop to evil’s reign. Does this makeshift team of superheroes have what it takes to succeed in its epic mission? Together with Josh Brolin as Thanos, Benicio del Toro as The Collector, and Djimon Hounsou as Korath the Pursuer, Guardians of the Galaxy promises to be one awesome adventure set in space. Marvel’s latest superhero film of a slightly different kind is sure to bring laughter and tears to audiences of all ages. Perhaps most famously known for her starring role as the blue-skinned alien, Neytiri, in the award-winning Avatar, Zoe Saldana admits her interest in and fascination with working in science fiction movies. She also starred as Uhuru in Star Trek. Gamora is a green-skinned assassin trained by the powerful Thanos. She now seeks redemption for her past crimes. Chris Pratt is known for his role in television series “Parks and Recreation” as well as the lead character, Emmet Brickowski, in The Lego Movie. Peter Quill is an interstellar adventurer who was abducted from Earth at a young age. After recovering an ancient artefact, he must rally an unlikely team of cosmic misfits to prevent a powerful villain from destroying the galaxy. 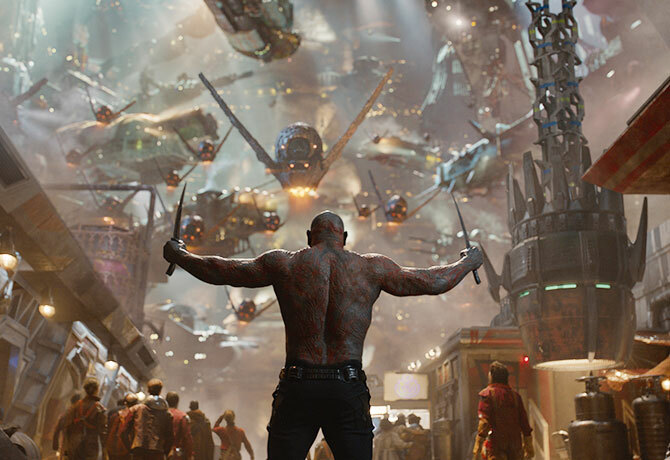 A former WWE wrestler and mixed martial artist, Dave Bautista cried when he got this “role of a lifetime”. A physical brute, Drax the Destroyer has a personal vendetta against Ronan the Accuser, who killed his family.